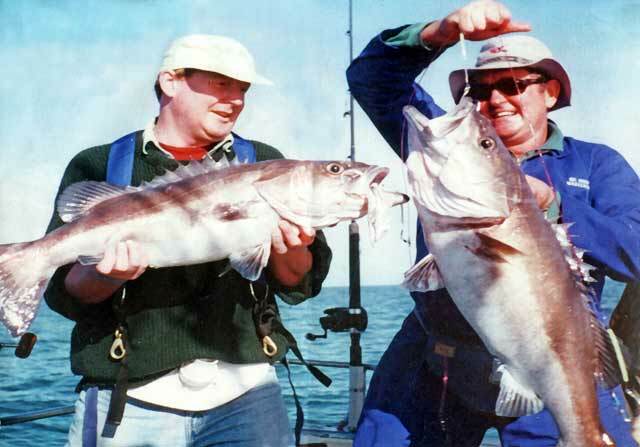 Bryan’s first two groper – Cook Strait. Photo: Lex Coutts. Deep-Sea Fishing. It never ceases to amaze me how anglers from anywhere in the country can meet and within minutes strike up a conversation that leads to a fishing trip. Almost 10 years ago on a business trip to Marlborough that is exactly what happened when I had the good fortune to meet Terry Grey of Wellington. Terry organized our annual fishing trip to the Marlborough Sounds with a collection of his buddies and Dave Fishburn of Cygnet Charters out of Dryden Bay. Since that time I have been on four other trips with the gang, missing the odd year out due to work or trips to other places. I was determined to make it this year and luck would have it that the old gang was together for another round of deep-sea adventures with Cygnet Charters. After making contact with the team in Picton we were off to Drydon Bay with Dave on board Cygnett ll and another crew from the Wairarapa. Terry had us fishing with Barry Fishburn son of Dave on Nimrod and assured me that no skill was lost in the change of skipper as fishing was most definitely the family vocation. We duly settled into the very fine accommodation that is available with the charter and set about catching up on old times and getting gear ready for the first day of our three-day deep-sea fishing safari. 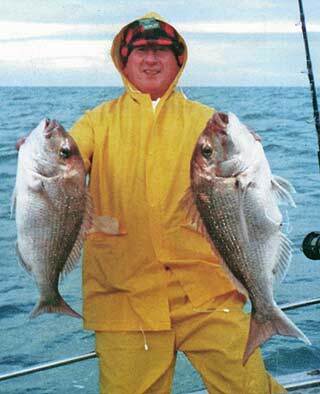 Jim Stenhouse with a pair of big snapper. Some of the team spent rather a lot of time settling in and found the early start a challenge in the morning. Never the less we set off into a golden sunrise that looked better than the weather it promised. We travelled Northwest into the rising sea to meet the tide over a deep-sea fishing spot that was renowned for groper and about this time one or two found the late night and fun had come at a price. With the cooked breakfast out of the way we got stuck into our task and set about catching the “Big Eyed Ones” on a tide that was travelling stronger than ideal with the weather packing up. For the record, this was not altogether our best day deep-sea fishing with only six groper coming up of around 25 to 30 pounds each. We went inshore for a break from the swells and held down lunch long enough to catch some nice tarakihi and a few blue cod. After some discussion on our options, Barry took us out into the swells again to have a crack at a late afternoon snapper. The tide was running well and staying over the spot was tricky, to say the least so when Jim Stenhouse announced he was into a big red he wasn’t referring to one of those big cans of Tui’s ale that he seemed to enjoy the night before. Sure enough snapper number one was in the net. After the rest of us got stuck into the spiny dogfish population to keep them off Jim’s bait he landed another better snapper than the last one. The crew decided they had enough for the day and home for dinner was the next move. Once inside the Sound and in calmer water the catch was cleaned up and Barry gave us a display of the now famous Fishburn technique for turning groper into fillets and steaks with nonchalant ease. To say that the second night of the trip was a quiet affair would be an understatement. I am sure the boys were just saving themselves for the upcoming rugby semi-final to be shown live on Sky TV Saturday night and it had nothing to do with the wet run the night before. Joking aside we were determined to fish well tomorrow as the other team had out-fished us with 17 groper on Cygnet II. Another early start and into it. The weather was better and we got onto the fish. 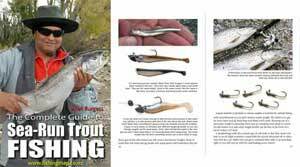 There are critics of deep water fishing that claim that it’s like dragging up a bag of spuds. They should get into fishing with braided lines and experience the fight that good groper can put up. The fish we caught made every effort to avoid capture and often a second run was on from the fish when they got a look at the sunlight for the first time on their way up to the surface. I fish with Spider Wire line of 100 pounds breaking strain on my solid glass jig stick. My lever drag reel has 15 pounds of preset tension when pushed up to “strike”. This combination of light gear and low stretch braid gives me the “feel” I could never get from ”stump pulling” outfits that are in use with nylon line. In fact, the four groper I caught for the trip all took line from me and I have to say that any more drag on them would have wrecked the rod and me. We always seem to be able to score some kind of first on these trips and today was no exception. Bryan Mitchell was a new chum on the trip and had yet to get his ﬁrst groper. He had been so busy berleying up Friday and tying us all in knots the rest of the day he was having trouble finding the time. To give Bryan his due honour he got the hang of it in style and got two at once. The team was into the usual swing of it now and groper were coming up all over the place with Martin Donaghue landing the best of around 55 pounds. 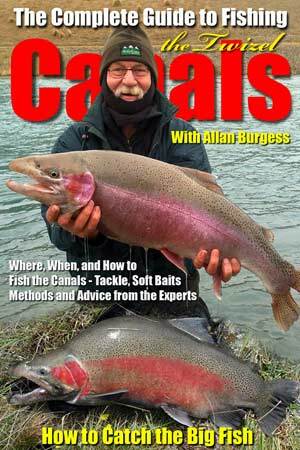 Readers may remember back three years ago a picture of Martin struggling to hold up a groper of 52kgs or 105 pounds in the old money. That sort of fish only comes along now and again so we were happy to secure 17 fish before the tide started to run again and made fishing impossible at the depth we were operating in. We retreated to the shelter of inshore water for more tarakihi and a few nice kahawai that were just fantastic sliced and soaked in soy sauce with a dip in Wasabi to finish off the dish. Home for the rugby and another exhibition in fish cleaning from a master topped off a great day out on the ocean. The Crusaders obliged with a win and by the time this is out the rest will be history so the boys retreated to the lounge for another round of “pick the All Blacks” before bed and another day out on Nimrod. Nimrod is the name of a great hunter from biblical times and Dave chose that for the name of the boat we were on for the weekend. There would be little to pick between them to the average “boatie” or angler with Nimrod and Cygnet II being close to each other in appearance and user-friendliness. I might also add for those of you that may have been on a trip with Dave Fishburn in the past, the Nimrod has a back scratcher just like the Cygnet and yes Barry uses is just as his father Dave does. We were always having Dave on about the back scratcher and we did catch him on video one trip having a sly scratch down the back of the neck he saw the funny side in it and we had Barry on about the famous Fishburn back scratcher as well. The last day of our trip was a little slower and tarakihi was the ﬂavour of the day with the weather not allowing much action out wide. We enjoyed our last hurrah on Nimrod and swung into tie up for another fantastic dinner cooked by Terry and the crew. Barry joined us after dinner to round of the evening with some thoughts on the sounds fishing and his experiences fishing for tuna along the West Coast. Dave and his wife Cath have a great set up in Dryden Bay offering fantastic accommodation and excellent fishing with both Barry and Dave on either Nimrod or Cygnet II taking up to eight anglers at a time fishing. The houses available for crews are fully equipped with all the comforts of home. It would be fair to say that Dave and Barry work all day for their clients ensuring that everyone on board enjoys themselves and catches fish. They are able to do this because they enjoy the fishing as much as we do it’s more than a job to them it’s all day fun. We always find ourselves leaving in their debt as we hoping that we haven’t imposed on their kindness and generosity too much. I shall be unable to go back next year as I am taking a crew to Fiordland. I will, however, be back again to enjoy another of T’s Tours the year after that. Video: Graeme Sinclair on Gone Fishin out with Dave Fishburn catch a big groper on the Cygnet II. Sadly the Cygnet II and Dave Fishburn are no longer operating.